In this series, we discuss causes of anxiety for those facing a physical illness like IBD and its side effects. Phrases in quotes are the words of our community members across various conditions on what it’s like to deal with these anxieties. When we asked our communities about their biggest anxieties, money matters topped the list. Many people have to juggle multiple chronic conditions on top of daily costs. Caregivers, too, may take on quite a bit of stress in supporting loved ones financially. Navigating disability and insurance coverage is often a full-time job. For instance, one community member explained that they “haven’t had health insurance for the past several years so [they] can’t afford to go to the doctor for treatment or whenever a new symptom pops up.” It can be hard to stay ahead of symptoms and flares when you aren’t able to visit a doctor regularly. If finding work gets hard, there can be added anxiety about losing coverage. The extra stress of staying in a job or finding a job can make symptoms worse, or make it harder to manage caring for your loved ones. While not every nonprofit provides financial assistance, they can often refer you to programs. In addition to national nonprofits like the Crohn’s and Colitis Foundation, contact local nonprofits that may know about local resources. This is such a real thing. The financial stress can really be debilitating. 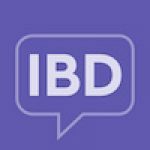 SO grateful you are covering this – it’s one of my main stressors as an IBD patient even when in remission. Appreciate opening it to the community and raising awareness on this!